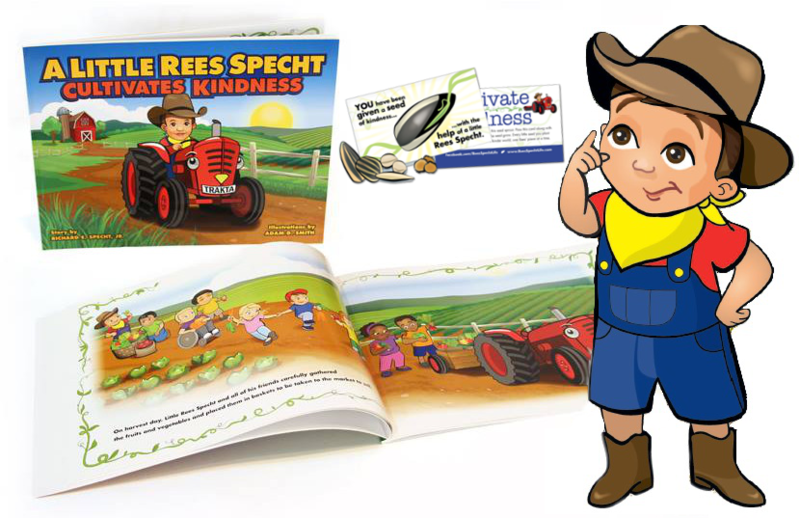 Written by Rees’ Father, “A Little Rees Specht Cultivates Kindness” follows the adventures of a young farmer named Little Rees Specht who discovers that kindness, like a seed, will only grow and spread if one takes the time to cultivate it. Little Rees Specht is a thoughtful and generous young boy who takes the time to help out a friend in need. Unbeknownst to Little Rees Specht, his kind act plants a “seed of kindness”, that keeps growing as more and more kind acts are performed by other children. “A Little Rees Specht Cultivates Kindness” is a sweet book with an important message for young children who are learning to look beyond themselves and develop empathy for others. 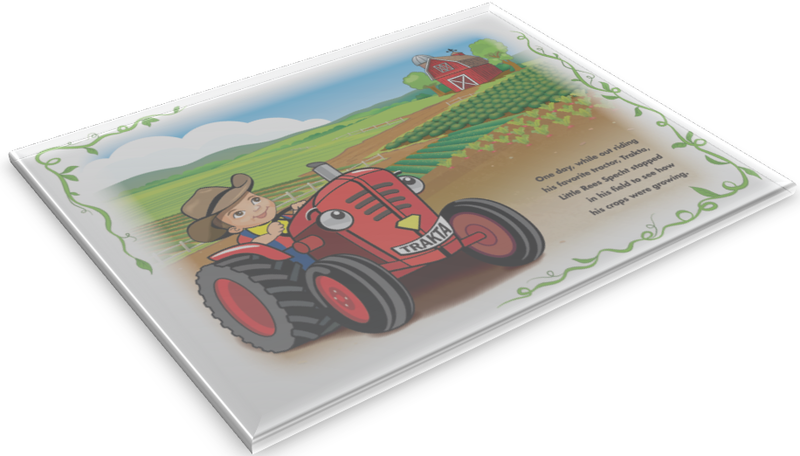 Join the adventure of Little Rees Specht and his friends as they discover how kindness grows in the good deeds we do for each other. In the end, we learn that all it takes to cultivate kindness is a little Rees Specht. I got the book in the mail and read it myself first just to get an idea of some lessons I could discuss with my kids from the story. That same night I read it with my kids and the story actually made it easy for them to understand the concept of perpetuating kindness. Wonderful story and a great tribute to little Rees! I also love how the back of the book has several simple and real world ideas on how to grow the seeds of kindness yourself. Well done!! This inspiring story is a “must read” for every parent and child. Its message is thoughtfully written and illustrated to appeal to us all. Showing kindness, the simplest of actions, can easily be overlooked in today’s fast-paced world. 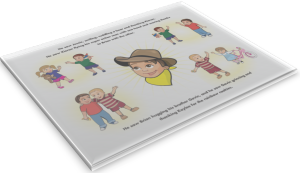 This book reflects caring behavior in an entertaining way. I hope everyone has the good sense to purchase this book for themselves and for anyone that they love! When I picture Rees in Heaven, this is what I see. Your story had me in such tears after watching the Today Show segment. As a mom of two toddlers, this is one of my biggest fears, along with everything else that can happen so quickly. I am so astounded by your strength and the kind message you are passing along to so many others. I had to go to this site immediately to learn more about how I can help. I cannot wait to receive the books and share them with my children and nieces and nephews! I know kindness is for everyone but what age is the book geared towards? Hello, Thank you for sharing your story with all of us. 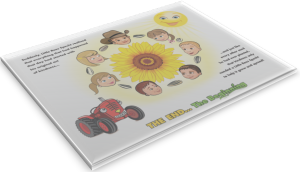 I would like to purchase the book for my children, how do I go about that? I received this book about a week ago. My daughter, who is 3, has since requested it for every single nap time and bed time reading. Normally, she chooses a new book each time, so this is a big deal at our house. 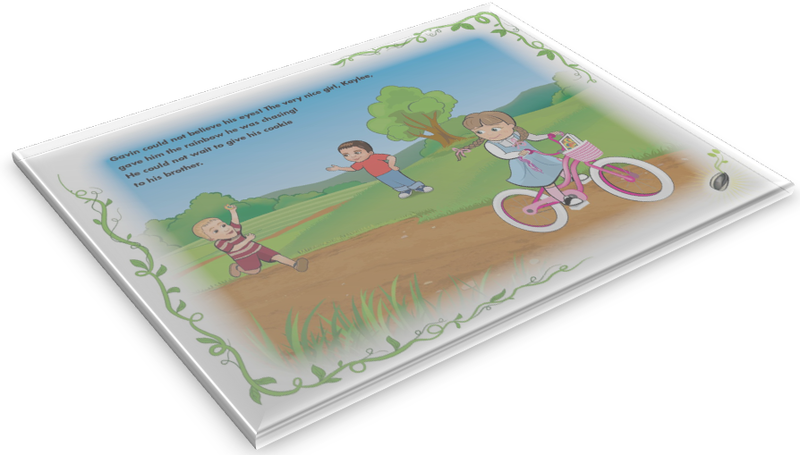 This book has a great way of showing children how each small kindness can lead to more kindness and happiness for others. My daughter, Meadow, knows all of the featured characters names and what action they took to share kindness with someone. This is because the author does a phenomenal job of making their interactions so individual and special. This book has had such an impact on our family that we have plans to use the cards at the back of our book and spread some kindness this weekend!